I’m struggling with this issue at the moment with my game that’s on featured. Getting almost 40% dislikes yet no one has messaged me with major issues. A feedback option would be greatly appreciated. A simple way to avoid placing this on Roblox would be to create your own Roblox-to-discord webhook that users would fill out feedback in the game with a selected amount of choices like darkhero created. This would keep it user-made and based on the user and their game, not throwing it on Roblox. God knows who would read all the feedback from the thousands of likes a game gets. And even if you did that, you still couldn’t meet every player’s needs. I don’t support this. Just make your own in game or find one in the free models. There are many discord webhooks used for feedback systems all around. Edit: A selection system for the feedback system might be better, but having the “other” section might want to be filtered. I have that, Clutch, but quite often people don’t even see the feedback thing, I even notify them that it’s there. But I rarely get any feedback. If I do, it’s always positive, negative people don’t bother with that stuff, they just go ahead and dislike. That’s what I’m saying. Users don’t want to answer the questions and give legitimate feedback. They do it because they don’t care or they get bored of the game and leave. You can find out how long your average player stays in the game in your game analytics. Users get bored and dislike the game. If the visit length is short but you receive a ton of dislikes, the issue is that the players get bored. My brother is young and he has his friends over and they play Roblox together. They always ask me what they should play. I would say something like Fantastic Frontier and they wouldn’t get off until they beat the game. They even stay in games that are round based for hours because there’s so much to do. When you create a game, aim for stuff to do. Most people will leave and dislike because of boredom. Alright, i’ll use my own game for an example, it’s average visit length is quite long, even with no players, people play it for 10-35 minutes, by themselves! Now, if it takes 10-35 min for them to get bored whilst playing alone, I doubt the dislikes went up because of boredom… Though I do see where you’re coming from, just that your assumption of “Most people will leave and dislike because of boredom.” won’t be correct too often. Correct. But i’m factoring in the most known statistic. Your game might not be boredom but another issue. It’s common for these factors in games, but the dislikes on showcases are an example too. Player’s dislike showcases because they might be jealous or something. God knows who would read all the feedback from the thousands of likes a game gets. I wouldn’t want that at ALL. I’d much rather keep the default like/dislike system because dislikes tend to be lower than likes because they’re, I don’t know, trolls? they’re, I don’t know, trolls? But I still think this would be useless. Everyone would just click the first one or a random one ect ect. Oh yea… it is true that a lot of them still wouldn’t bother and click random ones… Actually, that’d just make it even worse, kinda like giving false feedback. Though if this did exist, i’d assume every feedback that’s blank, is spam, i’d only look at the ones which contain explanations. I had this idea about 3 years ago, I badly wrote the idea, but doesn’t mean it’s a bad idea. Now, I think if we look for the opinions of the masses, we’ll get spam/lazy thoughts/and A LOT, it’s a tedious process to look at all those opinions, it’s sifting through a giant room of paper strips. (I predict) Rather we need opinions of the ~critics, the people who paid attention to the game and can write well. Those opinions are tested by the general opinion of the masses through comment rating, and that’s how the dev gets feedback. Don’t use discord, they will warn you and possible close your account if you use their API for these kinds of things. Uhhh, pretty sure that’s not true. Why wouldn’t you be allowed to use Discord? People do it all the time for feedback stuff. Might just be confused, but I’m not sure what you mean. 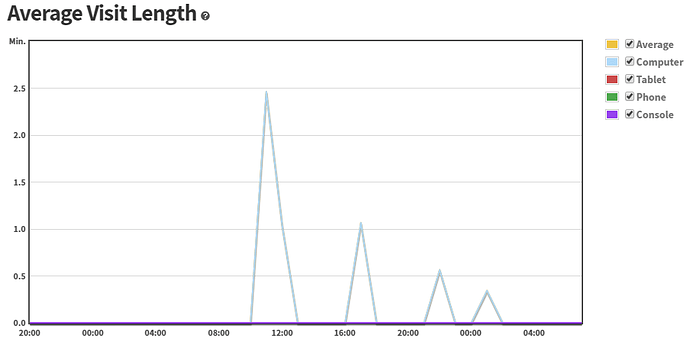 It’s only disallowed if your game is big enough that it puts stress on their servers. My game has never had more than a hundred or two players online. I think he meant use discord to see who’s liking / disliking your game. Which I can see why it wouldn’t be allowed. He’s referring to Discord’s ToS. It’s against Discord’s ToS to use Discord for logging. See this devforum post and others on the same thread for more information. 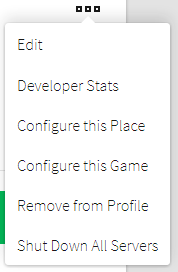 It is really frustrating and difficult to work with the currently available analytics tools as they don’t provide much information, one could argue we should make our own systems, and I would agree, however there are things we cannot track as they are only available on the roblox website, like this “Like/Dislike” feature. It’s currently impossible to know why my players like or dislike my game, how long did it take them to come and vote, or what age and what platform they are using that caused them to come to conclusion for the said vote. As a developer I believe it would benefit all developers and the platform’s growth if we had stronger and more reliable ways for us to listen to our players, and understand what they want, as games are nothing without players! A simple (optional) prompt when a user votes on a game asking for feedback would be a great help to us. These feedback replies do not need to be displayed to the public or even have the said player’s name/userid! To even better help us understand our players, it would help if we can get the players age/platform and how long did it take for them to come and vote. As well as conversion rates from when players change their votes from what they used to be.